To provide the maximum flexibility and to secure generous gifts for the campaign Building the Future ..... Today, A Campaign for Gamma Alpha of Sigma Nu at Georgia Tech, each alumnus is encouraged to consider the project a major commitment of the Gamma Alpha Chapter of Sigma Nu at Georgia Tech. While cash gifts will be the greatest assistance with our current project, deferred gifts such as bequests, trusts and insurance policies also are welcome because they will help to provide for the future and ensure the existence of Sigma Nu for generations to come. We encourage members to consider Gamma Alpha as a part of their estate planning by including a bequest in their will for Sigma Nu. A bequest to Sigma Nu at Georgia Tech may take the form of cash, securities, real estate or other assets. The member may leave a bequest in the form of a specific sum; specific property; or, a percentage of the remainder of their estate after provisions for survivors have been fulfilled. A bequest is especially important in increasing the long-term endowment for Sigma Nu. Consideration of a bequest in addition to a cash contribution will not only allow us to meet current needs but also assure a strong presence for Sigma Nu in the future. Many times the insurance coverage that one has accumulated over the years is no longer needed for its original purpose. 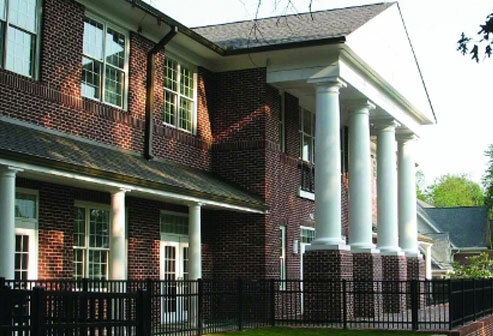 A donor can name Sigma Nu at Georgia Tech as the primary or secondary beneficiary of a life insurance policy. Alternatively, if you do not wish to continue payments on a whole life policy that has accumulated cash value, consider making a present gift of the cash value to Gamma Alpha. Information contained herein should not be relied upon for personal, legal or financial decisions and you should consult your own advisor for specific advice tailored to your situation.